FEATURES/SPECS This classic desktop organizer will be right at home on your vintage antique desk or the most modern of workstations. 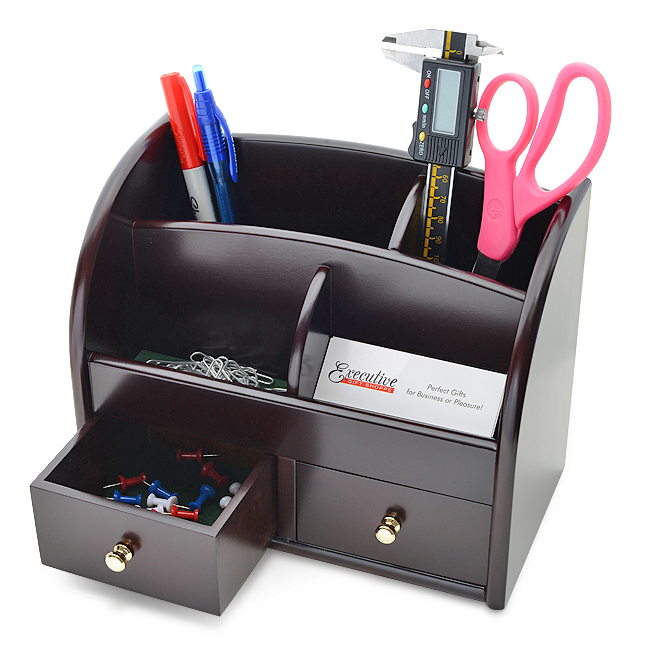 Finished in dark cherry wood, it features four different sized compartments, perfect for memo pads, pens or loose paper. 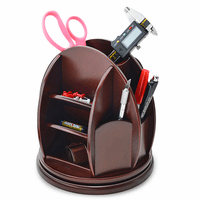 It also has two drawers where you can hold paper clips, staples and other small accessories. 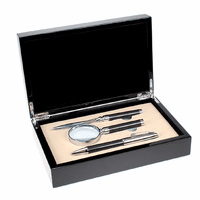 We'll laser engrave the front, just above the drawers, for a personalized touch free of charge. 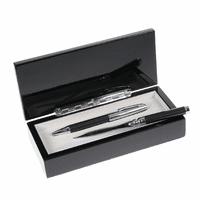 This customized desk organizer comes packaged in a gift box and ships out within one business day. Dimensions: 8 3/4" x 4 3/4" x 6 3/4"
Very Satisfied with Cherrywood Organizer! First of all, let me just say that I was SO pleased with the customer service from this company. Initially, I had some questions about the item and the personalization. My inquiries were promptly addressed. When I received the well-packaged organizer, I couldn't have been more satisfied. The rich color of the cherrywood with the gold initials were impressive. This was purchased as a gift and I am very proud to be the 'giver' of it...although I would also be very happy to receive such a lovely and practical keepsake. I highly recommend this company for customer service and for quality of their products. I am so happy to have found them through an internet search. Thank you!